2 Yoga Sessions: 20-minutes and 60-minutes. 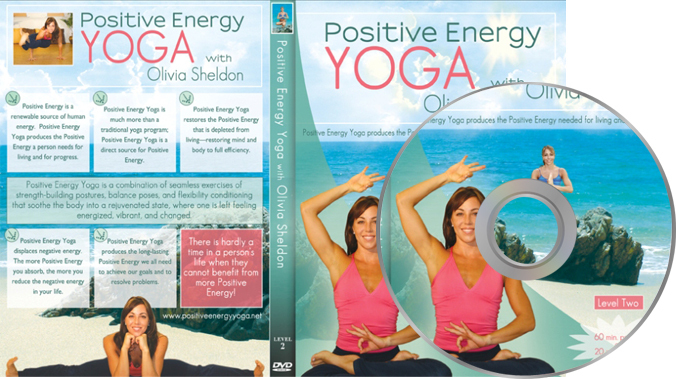 Excellent for the beginner yogi, but appropriate for ALL levels of experience. We will focus on learning basic, easy-to-follow postures through a gentle, smooth flow. Think leg stretches, an introduction to shoulder and hip openers, warriors and triangles, and lengthening and twisting your spine--leaving you completely stretched and relaxed. 2 Yoga Sessions: 20-minutes and 60-minutes. Fun and challenging for the intermediate to advance practitioner. The perfect next step after finding comfort with the Level One DVD! We will focus on core (abs and back), deeper inner and outer hip openers, more vinyasas, advanced shoulder stretches, with a taste of backbends, inversions and some spicy arm balances. This is a thorough, full-body and mind experience.